Last December, the King Tides brought high water very close to the top of a containment wall along the shore in Alameda. Photo courtesy of East Bay Regional Park District. Strolling along the Bay Trail at Crown Memorial State Beach in Alameda a few weekends ago with a group of naturalists and college students at a professional workshop, we looked for areas that were inundated by the King Tides last winter. We stood on trails and turf that had been underwater during those extreme high tides and discussed scientists’ predictions that high tide events, like King Tides, are likely to become the normal high tides in coming years. As seawater warms, it will expand as well as increase due to polar ice cap melting. The edges of our shoreline “bathtub” won’t be able to contain the overflow as the moon and sun interact and tides edge up and over into shoreline parks, roadways, homes and businesses. You can explore the National Oceanic and Atmospheric Administration interactive model of how the rising tides may impact our coastlines. Much of my hometown, with an elevation of 30 feet above sea level, may be underwater at the predicted high water level of 55 inches above current high-high tide. My house would be above water, but I wouldn’t be able to get to work due to flooded roadways. Sea level rise predictions are evolving as more information is gathered and assessed. The models continue to be refined. The King Tide nearly cut off the trail at Crown Beach leading out to a popular fishing point. Photo courtesy of East Bay Regional Park District. The good news about sea level rise is that these are long-term predictions, allowing us time to prepare. As CAKE (Climate Adaptation Knowledge Exchange website) states, “Don’t Panic.” It’s a great site to learn more about climate change basics and sea level rise science, as well as access tools available to municipalities to plan for climate change mitigation measures. Many municipalities are working together on a regional approach. In the East Bay this regional working group is referred to as “Adapting to Rising Tides (ART).” It’s led by the Bay Conservation and Development Committee (BCDC) and National Oceanic and Atmospheric Administration (NOAA) Coastal Services Center with participation by two regional park agencies, East Bay Regional Park District and Hayward Area Recreation District, along with local, regional, state and federal agencies and organizations, as well as non-profit and private associations. ART is looking at potential climate change impacts and subsequent effects to be addressed in this Climate Impacts Statement. 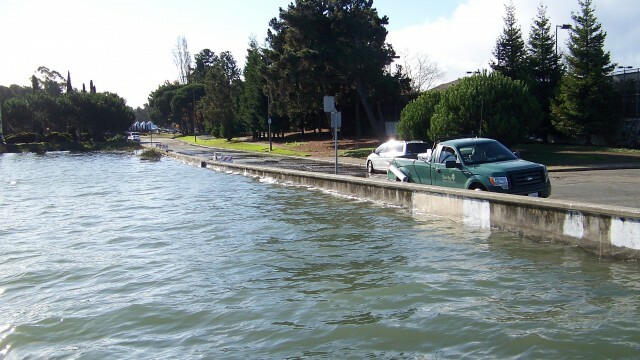 For more photos of King Tides around the Bay Area and California, check out the King Tides Initiative website. What steps is your area taking to prepare for future sea level rise? Excellent program but most of the videos go out of focus when changing scenes, intentional or technical problem, very irritating to the eye. Sharol Nelson-Embry is the Supervising Naturalist at the Crab Cove Visitor Center & Aquarium on San Francisco Bay in Alameda. 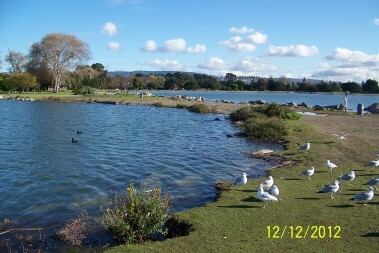 Crab Cove is part of the East Bay Regional Park District, one of the largest and oldest regional park agencies in the nation. She graduated from Cal Poly, San Luis Obispo with a degree in Natural Resources Management and an epiphany that connecting kids with nature was her destiny. She's been rooted in the Bay Area since 1991 after working at nature centers and outdoor science schools around our fair state. She loves the great variety of habitats stretching from the Bay shoreline to the redwoods, lakes, and hills. Sharol enjoys connecting people to nature with articles in local newspapers and online forums.